Since polo is such a complex sport, The California Polo School offers a student program that is dedicated to teaching the game of polo safely and effectively. 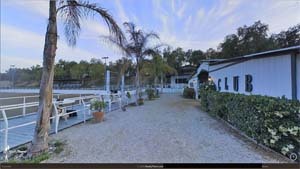 The California Polo School offers both private and group lessons. Through the use of professional instructors and seasoned polo school horses, students learn strategy, playing skills and the rules of the game. A combination of lessons, practice games and clinics offer students an opportunity to learn in a fun and safe environment. Upon successful completion of the program, students “graduate” to a faster level of play: Club Chukkers. Because each individual will progress at a different pace, CPC tailors its program to match each level of learning. You don’t need to know how to ride horses to learn polo. 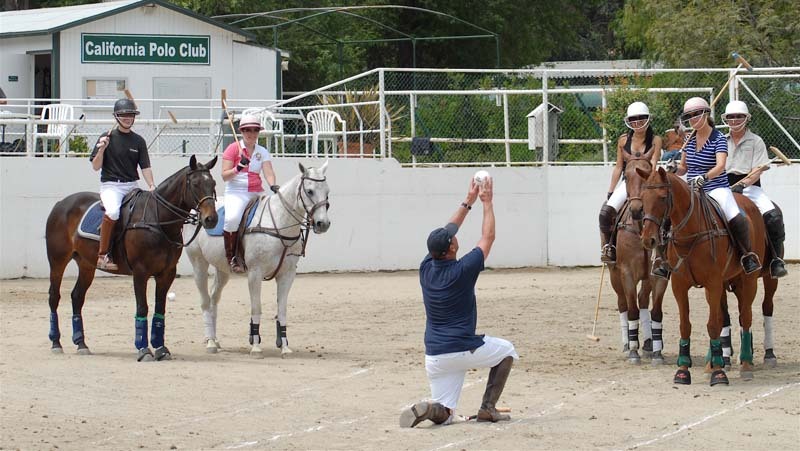 California Polo School can teach you the basics of riding while you learn to play polo. Weather permitting; we have lessons on Tuesday, Wednesday, Thursday, Friday, Saturday & Sunday. Group lessons (we make the groups – you simply sign up) with cost $125 for a 45-60 minute lesson. Equipment is provided with the exception of riding boots. Private lessons are $175. We do offer a 10-lesson package, which you can purchase at a discount. To request additional information, please email us at polo@californiapoloclub.com. To sign up for an activity, please call the clubhouse at 818-558-7656 and leave a message on the machine. Please make sure that you leave your name, the activity you are signing up for and your phone number. You will only get a call back if there is a conflict with your request. Please assume that you are on the schedule unless you get a call back from us. We ask all our players to be on time. This is a group activity and tardiness affects the rest of the participants. Thank you! Messages are not checked after the call in times. Click here to meet the Polo Instructors at California Polo Club.